Is it really too much to ask that my kids. . .
put their shoes in the baskets in the mudroom? hang their jackets up on the hooks? NOT TOUCH ANYTHING but their matchbox cars? Seriously. Don't touch anything. That includes the Christmas tree, the ornaments that you insist on using as soccer balls, the wrapping paper, and all items of food in the pantry. Also, please don't ask me to make you chicken nuggets. Don't ask me to turn on the Backyardigans for the 500-millionth time. And the tape- for hells sake- LEAVE MY TAPE ALONE! DO NOT wrap it around your head. I have officially hit the "You-Are-Driving-Me-Crazy" Mom Wall. It's 11:24 in the late morning. a house that will stay clean for at least 24 hours. 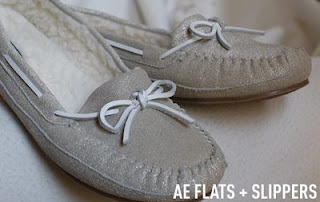 and these mocs. . .
That is all I want. You can tell me how much you love me, and how I'm your favorite wife EVER tonight as we battle the kids together. You wear the body armor, and I will wear camouflage. And know that right now I am singing U2's "Baby, Please Come Home" as I write. You have seriously taken the words right out of my mouth (especially the part about only touching the matchbox cars)! Except for the part about the mocs. And maybe the part about Aaron. I don't want to wear camouflage with Aaron. 1) Can you just get dressed? Without being poked and prodded and yelled at and sworn at? 2) Can you just eat your breakfast? Wihtout being poked and prodded and yelled at and sworn at? 3) Can you just brush your damn teeth? Without being poked and prodded and yelled at and sworn at? Mandee thanks so much. That seriously made my day. I've thought about tying mine down to their beds this afternoon, with a sippy cup that has a bendy straw in reach and putting them in pull ups in case of accidents. That way I can take a nap. Yes... the eating breakfast, the getting dressed, the brushing teeth- the lost shoes, the missing jacket- ALL things I dealt with this morning that sent me over the edge. Except I had to give up use of the word "damn" when Max started repeating it. It was my only and favorite swear word. And to Wendy- such a great idea. I think I'll try it. Okay, I'm just laughing! This is my life. I couldn't have said it better myself. I told jared my goal in life is to be able to sit down at the end of the day and think to myself "There is nothing left to be cleaned, laundered, folded, or put away. Now I will sit down and watch my favorite shows with a extra large diet coke and some snickers and peanut butter cups and relax." Jared informed me I will probably die before that ever happens. A girl can dream though. I say shoot for a clean house for 12 hours. I personally would take a clean house for 3 hours but even that will never happen. Kids = Chaos this is the only thing that helps me through the crazy days. Moments of peace, cleanliness, sharing of toys, eating food without complaining, are just things that we may be blessed with on occasion but once we think we deserve them on a daily basis depression kicks in because it will never be. At least we can dream about it (when they are asleep). You forgot "Get in the damn car!" Also, can I just go to the bathroom in my little toilet room all by myself? How is it the entire family can fit in there with me??? Thanks for making me laugh today. Sorry it was at your expense. Ah yes, this is an all too familiar post- and I only have one! Seriously, I can totally identify and it actually makes me feel more "normal" to know that other people feel that way too...thanks for making me feel like i'm not the only mom out there who has bad days and whose kids put them over the edge every now and again. Good thing they're cute. Seriously, what type of frosting to you like on your chocolate cake? Yup, I totally get it! How about telling your kids (even with my two boys) by saying, "How many times do I have to tell you to do this?" I often would ended up hearing them, "Many times" and then do nothing. I lost my fuse and shoved them into the shower-- especially when it is time to take a shower. This too shall pass............to soon by the way. Just hang in there and enjoy what you can. Also, I saw some cheetah mocs in Macy's ad. Totally thought they looked like you. Have I ever told you I LOVE YOU? I have known why you are one of my best buds forever now, but it has just all been confirmed again. Really, you are the best and I hope you know you are loved. Thank you for the pee in my pants. I needed that today. A great laugh. Sorry it was at your expense. Oh ps I would tell you that since we are good friends I would take the boys for the day, but then my children and yours would be very sad. (because I am ALWAYS at the end of my rope) How about babysitters and a drink? What time should I come get you? LOVE this post! I feel this way SO MUCH! Glad to know that I am not alone. :) Fortunate for ALL OF US, these kids do get bigger and grow up...(I have to keep telling myself that b/c right now I don't believe it!) ENJOY your Christmas and I hope you get those slippers...you deserve them!